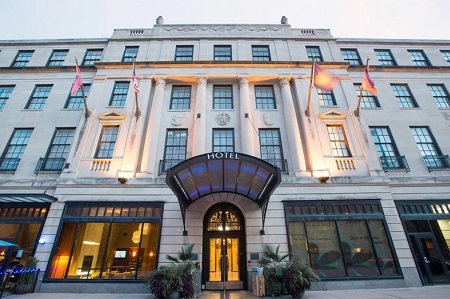 Magnolia Hotel Omaha in downtown Omaha, Nebraska! Bid per Room per Night and Choose your Length of Stay! 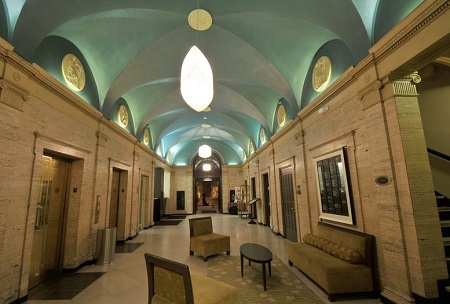 Formerly the Aquila Court Building, built by Chester Cook in 1923, The Magnolia Hotel in downtown Omaha, Nebraska resides near many of the area's finest attractions, including The historic Old Market, the Orpheum Theatre, Omaha Children's Museum, Holland Performing Arts Center, Joslyn Art Museum, and the Century Link Omaha. Experience award-winning cuisine with the menu at Chester's, a downtown Omaha restaurant located inside the Magnolia Hotel Omaha. Guests of the hotel may also retreat to the comforts of their room or suite and order room service. Head to the main floor for breakfast, lunch and dinner that is served daily in the hotel's restaurant. 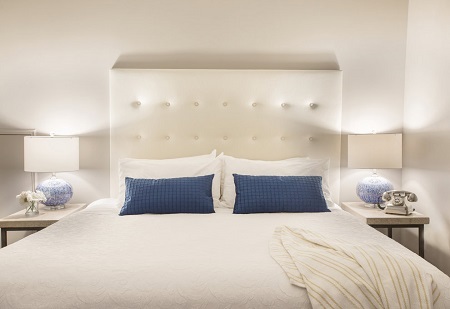 Enjoy the inviting, spacious warmth of The Magnolia Hotel guestrooms and suites. Bedding fit for royalty and views of the city skyline and our lovely courtyard through floor to ceiling windows await you in each of our suites and guest rooms. Wired and wireless Internet access, and a large workspace and sitting area make doing business a genuine pleasure, Magnolia style. 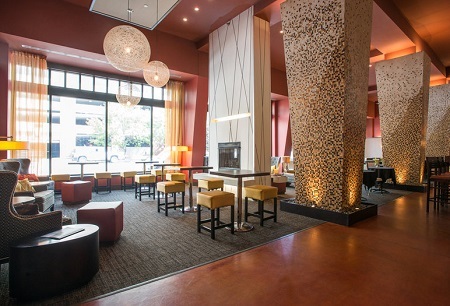 Our downtown Omaha hotel suites and rooms provide a swanky decor in a chic chocolate brown and turquoise color scheme. Offer is based on a Single or Double Occupancy in a Deluxe Room with one or two Queen Beds.